This 9" Square Basin Riser is used to extend the height of a basin by approximately 6". Constructed of High Impact Polystyrene (HIPS) for durability and long life. Multiple risers can easily be stacked together to increase the height even further. 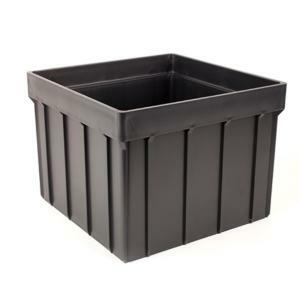 Compatible with the 9" square catch basin and the 9" square atrium or flat grates. Installs directly on top of 9" Square Catch Basin and extends height by 6"